I painted over some geometric shapes I made, to complete today’s abstract. Some of the imagery was inspired by my memory of some of Kandinsky’s work; other shapes and marks comes from my observations during the day. Once again, I had no real plan for working, no goal, nor principles to adhere to. I have a real seat-of-the-pants painting method for putting marks on the paper. 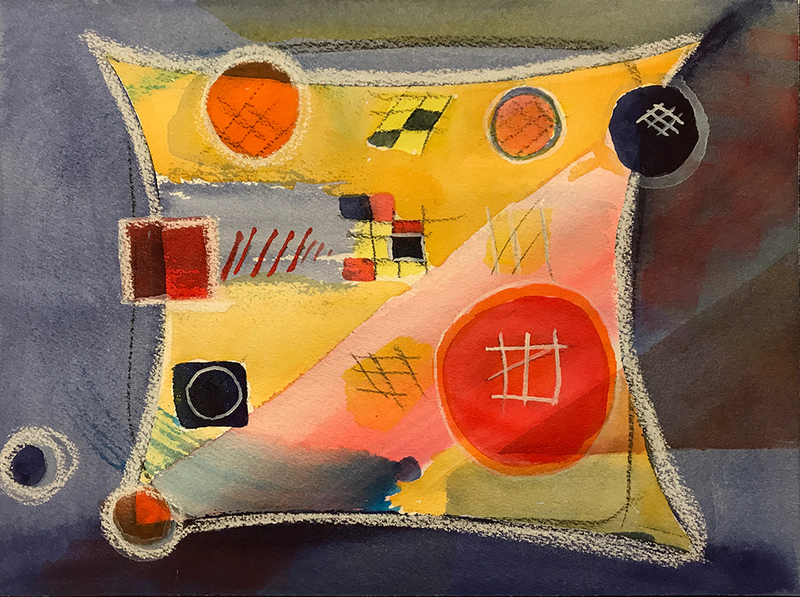 This entry was posted in Personal Stories and tagged abstract art, artistic process, creativity, inspiration, painting, visual arts, Wassily Kandinsky, watercolor. Bookmark the permalink. Yes, I really love this also. N.